Whether the thought of the school year starting fills you with dread or delight, we all have to face it. Make it a bit easier by having a stash of these healthy and tasty Fruit Freezies in the freezer. Preparation Time: 15 minutes plus 6 - 8 hours freezing time. Wash the fruit. Halve the strawberries and grapes. 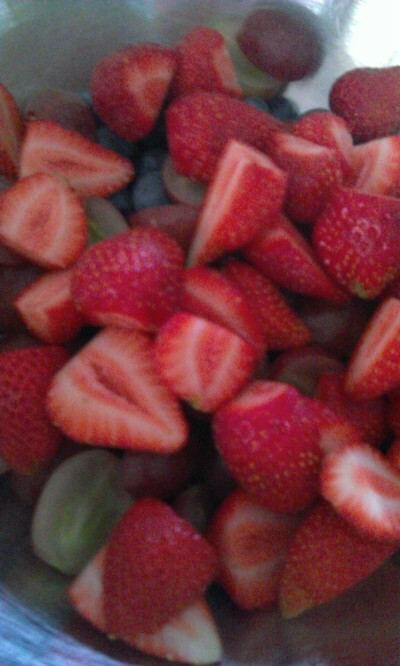 Put the strawberries, grapes and blueberries into a bowl and mix. 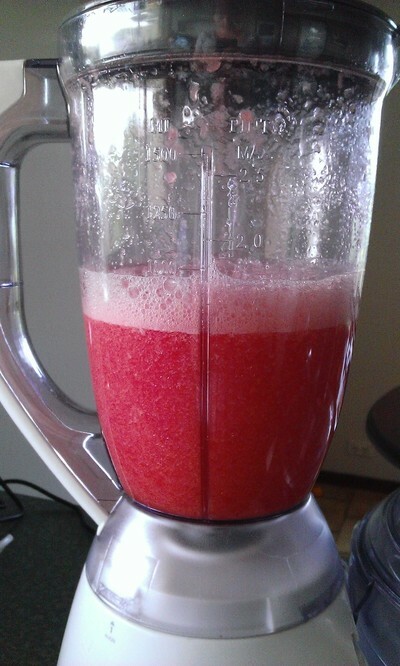 Blend the watermelon in a blender until liquid. Add to the other fruit and mix through. Line a 12 serve, 1 cup capacity, muffin pan with plastic wrap. Alternatively use a silicone muffin pan. 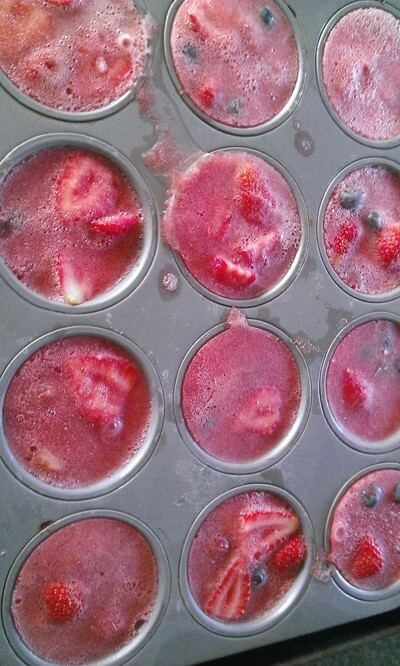 Ladle the fruit mix into the muffin cups and freeze for 6 - 8 hours or overnight. You'll notice I forgot to line my muffin tin. Oops! 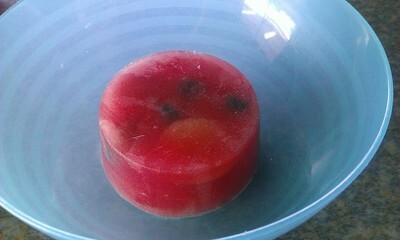 Use a bath of hot water to help release the freezies and turn out. This will make them a bit slushy on the bottom. Once frozen, remove from pan and store in a zip lock bag, in the freezer, until needed. To serve, put in a liquid-tight container in the morning and put in lunch box with a spoon. 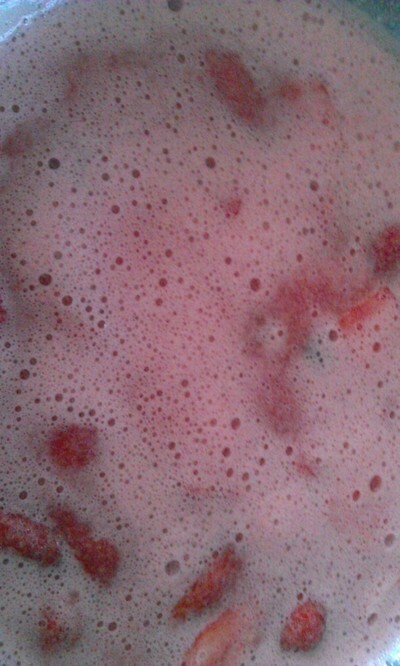 By snack time the fruit will be soft and slushy and ready to eat.